I am teaching this weekend at the DragonFly Scrapbooks retreat in Penrith. 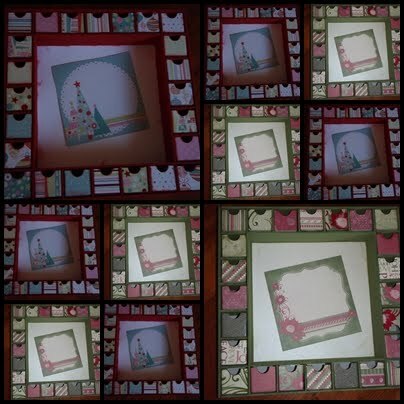 Each lady will leave hopefully with an Kaisercraft advent calender looking much like one of these. This is mine in it's almost embellished state. I added a ornament to each top corner but that pic is still on my camera. Come back Monday to see the pics oft he retreat. I am considering adding this as a class on my tutorial blog. Enjoy your teaching time. Looks like a fun project.